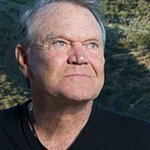 Glen Campbell’s musical and entertainment career, covering nearly five decades, is perhaps unmatched for its prolific breadth, popular appeal – and flat-out musical accomplishment and achievement. His guitar playing is legendary and can be heard on classic tracks from Pet Sounds by the Beach Boys, to Frank Sinatra’s Strangers in the Night. As a solo artist Glen has recorded some of the most beloved songs of his generation including Gentle On My Mind, Galveston and Rhinestone Cowboy. He has been awarded five Grammy Awards and three Grammy Hall of Fame honors, seven Academy of Country Music awards, a Pioneer Award recognition, three American Music Awards, two Country Music Association Awards and three Gospel Music Association Dove Awards. Glen was inducted into the Country Music Hall of Fame in 2005. Glen Campbell was the first artist to cross the boundary from country to the pop charts, which transcended him to true musical icon status both with the music industry and with fans. In 2011, Glen was diagnosed with Alzheimer’s disease and with the help of his wife and family decided to face the illness head on. After publicly announcing his battle with Alzheimer’s, he released the album Ghost on the Canvas and began his “Goodbye Tour.” Selling out concert halls across the globe to spectacular acclaim and standing ovations, the album and tour received some of the best reviews of his distinguished career. On Feb 12, 2012 Glen performed on the Grammy Awards, to an audience of 39 million people, and was given the distinguished Lifetime Achievement Award. Google trends for "Glen Campbell"
We don't have any videos related to Glen Campbell.